Whether you are a novice or experienced rider, taking a pillion on a motorcycle for the first time can be a little daunting. 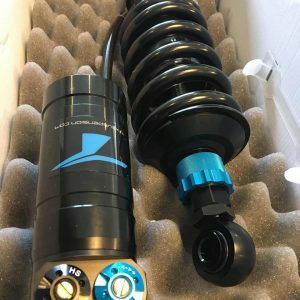 If you want to feel more relaxed before going two up, you might want to check out these points created by TFX Suspension first. Need a good amount of tread remaining, with no bumps or other defects. Pressures often need to be higher when carrying a pillion. Make sure your bike is capable of taking the extra weight of the pillion. Motorbikes have their suspension set up for a ‘standard rider’ which is usually about 80kg, if you weigh a lot more or less, you’ll need to adjust this anyway but a pillion changes the load fairly significantly. Also keep in mind where pillions sit on the bike, this weight will put the centre of gravity further back and higher which affects your handling. Before you go anywhere check your motorbike suspension, sometimes pumping up the preload on the rear spring is enough. If your motorbike doesn’t have any adjustment and you’re taking a pillion, look at fitting an adjustable rear shock. If you are taking a pillion and aren’t sure where to start with the suspension, check in the handbook before changing anything! Or call a recommend specialist such as TFX Suspension. When planning for weight being added to the back of your bike, you need to think about what might be affected. Chain tension may need to be reset, again look to your bike manufactures manual. The headlight beam will also be pointing higher than usual, so adjust before setting off to save blinding other road users! Mounting and dismounting: Ask your pillion to let you know before trying to get on or off the motorcycle. As the rider you need to keep the bike sturdy and have a good grip before they mount. It’s the same with dismounting; the pillion should wait for your green light before getting off. We’d suggest the passenger gets off as soon as you feel secure, and then park without them. The extra weight is fine when you are riding along but at a standstill, it’s up to the rider to keep the bike upright which is a lot of pressure on your legs. To lean or not: People have divided opinions on this, some don’t like the pillion to lean when going around corners. Sometimes when mentioning to lean, the pillion gets a little nervous about the prospect. On the other hand, some people can take it a bit too far and are trying to get their knee down on the back! So your passenger needs to find a happy medium where they feel comfortable between leaning right over and staying upright. 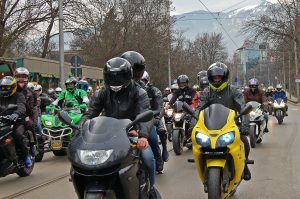 Of course – advise your pillion not to learn the complete opposite way! Signals: Agree on some basic signals. Instead of getting nipped in the waist or hit on the back of the head, make hand signals which mean ‘I’m fine’ ‘Slow down’ ‘Stop’ and so on. Having these signals will make the pillion feel safer, as they know they can still communicate with you after setting off. Of course if you have an intercom, signals aren’t needed! Gear: It’s an obvious one, but make sure your pillion is fully kitted out with a good helmet, jacket, trousers, pair of gloves and boots. Just as riders gear up, so should pillions. Also remember the rider usually gets a bit of heat from the engine, so if its winter make sure your pillion puts a few more layers on. On that note, riders also may have the luxury of heated grips which the pillions don’t, make sure they have a nice pair of winter gloves. The weight of a pillion does make a big difference to the way your bike stops and starts. If you brake at the same time as you usually do when you’re out on your own, you’ll quickly find the pillions head butting you! ts the same for accelerating, you’ll need to give your bike the helping hand when setting off so give it some more revs while keeping it smooth. Remember if you set off too quickly you may loose your pillion off the back..
As we have mentioned above, your bike won’t stop as easily with a pillion so try to ride slower in general. Statistics show that if you slow down by just 5-10% you can massively increase your control over the bike. As well as handling problems on the road in advance, you’ll also inspire more confidence in the pillion. Being a pillion can be scary as they don’t have any control on the back, so go out of your way to let them know you’re safety conscious and taking it easy on the road. We hope you found these points on taking a pillion useful and helped shed some light on how it may affect your motorcycle. If you need some advice on adjusting your motorcycle suspension, or are perhaps looking at upgrading your shock absorbers contact TFX Suspension Technology on +31 (0)495 750529 or email sales@tfxsuspension.com!